The year was 1984, and Catch snus was launched. Swedes were intoduced to the first snus that didn't taste like traditional snus: Catch Licorice. Two years later Catch Licorice Mini was launched. Catch became a huge success and the product range has since then expanded with new flavors and variations. Remember that exciting and exhilarating rush you get while watching a truly thrilling movie? Chainsaw captures that experience perfectly. Chainsaw Cold White Dry’s fresh taste of mint and high nicotine content of 22 mg/g makes it a strong and energetic snus that will get you reved up! Comes in metal cans to preserve the unique taste of aged tobacco leaves, whisky and light notes of chocolate and walnut. Comes in both white and original portions. A new type of snus - white snus, made of purified tobacco. Using a special and environmentally friendly process, the tobacco is purified and undesirable components are removed. Both the portion pouches and the snus are completely white. Comes in a wide range of flavors! One of the most popular snus brands in Sweden. Ettan was introduced during the early 19th century by the manufacturer Jacob Fredrik Ljunglöf. Ettan is characterized by a classic tobacco taste and the loose version has tasted the same since 1822! G.3 is the third generation of snus from General. This line delivers the high quality snus you expect from General, but this time in a slimmer and more powerfull package. The portion sizes range from Slim to Super Slim, designed for a discreet and comfortable fit with minimal dripping. All White snus that's white before, during and after use. The pouches have a soft fit and deliver long-lasting nicotine and flavor experience without any trace of tobacco taste. G.4 is the fourth generation of snus from General. The General brand stems from a recipe created out of a single man’s endeavor for perfection. Over 150 years ago, Johan A. Boman created the first pinch of General, a flavor revolution at that time. General is a full-bodied snus – a blend of more than 20 tobaccos topped with a drop of bergamot oil. This creates a strong flavor that is spiced with a touch of pepper and citrus. GN Organic is a snusseries by GN Tobacco, with quality tobacco and no artificial flavorings. Lots of taste and very strong! With its roots from the west coast this classic will charm you with a mild and delicate character. Today, Göteborgs Prima Fint is one of the oldest snus brands on the shelf, it was launched in 1919. Prima Fint is only avaliable in loose, as it always has been. Fresh, herby and innovative. Göteborgs Rapé has thanks to its unique character become incredibly popular, both in Sweden and around the world. Göteborgs Rapé comes in a whole range of flavors and sizes. Granit has hundreds of years worth of snus-history. The brand is known for its powerful, traditional and pure tobacco flavor. We offer a wide range of different strenghts and variations of Granit. Grov has been available on the market since 1872. Enjoy the spicy and pure tobacco taste in various different variations; the original loose snus to the later portion ones. Coarsely ground - hence the name Grov which means coarse. 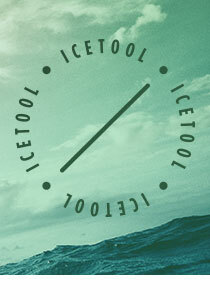 Icetool was founded during the year of 2003 and has since then provided high quality snus accessories to snusers all over the world. Icetool offers cans and portion syringes in colourful metal – just pick a color! A snus for all whom appreciate high quality! Islay Whisky is made using high quality tobacco stored in barrels previously used for whisky – in this case whisky from the Scottish island “Islay”. That is, perhaps, the reason behind Islay Whisky’s popularity amongst the world’s snusers. Jakobsson’s is a premium snus brand made with carefully chosen high quality ingredients – noticeable on both taste, strength and scent. You’ll surely find a favourite amongst all variations and flavors! Swedish Match presents the modern alternative snus – Kaliber. A portion snus for those who are looking for a simple snus without wanting to compromise on quality. Kapten Snus is produced by AG Snus in Denmark, a company with five generations of experience in the tobacco industry. The Kapten brand is a modern but yet traditional Swedish snus. It has a fine tobacco character with different flavorings! Knox is a powerful snus with well filled portions and a traditional snus flavor! It is much appreciated worldwide and is the second most popular snus brand amongst Swedish snusers. A very popular value snus - quality without compromise! Kronan was launched in 2005 as a ”budget” snus and with every year that passes it’s getting more and more popular. Today, Kronan is a very popular brand all around the world, especially in Sweden. Premium quality snus doesn’t necessarily need to be expensive. Thats the sound opinion of Nordic Snus. Their LD line delivers traditional Swedish snus with a well-rounded flavour in order to give you a highly satisfying experience. This is a snus that tastes more than it costs. Lundgrens Snus is a snusbrand by Fiedler & Lundgren - a tobacco company dating back to the early 1800s. Lundgrens Snus is a brand that is the result of a successful combination of tradition, deep knowledge of tobacco and interesting innovative thinking! LYFT is a flavorsome, energetic, and tobacco free brand of nicotine pouches. LYFT innovates further on the foundation of its predecessor EPOK by making the experience even fresher and whiter. Same satisfying sensation of flavor and nicotine as before but now in a new and tobacco free package! Mocca is a series of mini snus manufactured by Fiedler & Lundgren in Malmö. The snus from Mocca suits those who want mini portions with lots of flavor and normal nicotine strength. Comes in metal cans with a retro design! Think of a traditional high quality Swedish snus but at a lower price. You are thinking of Mustang! Mustang was launched by Swedish Match during the first days of fall in 2015. With its pronounced tobacco flavor and plumper pouches it quickly built its fan base. Nick & Johnny is a strong portion-snus series, which is avaliable in a bunch of exciting variations. The snus was first launched in Norway, but after a massive success it was also launched in Sweden and now it is spreading to the rest of the world! Olde Ving is a popular snus manufactured by GN Tobacco, which is Sweden’s biggest import and distribution company of tobacco products and accessories. Oliver Twist is a series of hand rolled tobacco bits. The bits are small and discreet mini-rolls of tobacco in a variety of flavors. The tobacco bits are made of whole tobacco leaves with a natural nicotine content. on! is a tobacco free brand packed with fresh flavors and innovative solutions. Phantom is manufactured by the Danish tobacco company V2 Tobacco (Thunder and Offroad) and is a popular low-priced snus! Phantom offers classic snus flavors and varieties of traditional snus. Röda Lacket was launched during the year of 1850 at the Norrköping based factory of Peter Swartz. During its earlier years, it was very popular in the Swedish province Småland, but it soon spread and became a favorite throughout Sweden. Available as loose snus. Inspired by the extreme climate of Siberia the Swedish snus manufacturer GN Tobacco decided to make one of the world’s strongest snus. By combining the extremely high nicotine content of 43mg/g and the fresh flavour of spearmint they managed to capture the powerfull spirit of the Russian wilderness. Skruf was launched in 2003 and has since then delivered a bunch of loved flavors; everything from fresh mint to delicious elder. Today, some of Skruf’s products are manufactured with only organic tobacco from the U.S. and Brazil! In the autumn of 2008 Swedish Match assembled a team of scientists, designers and snusers to develop a new snus. The goal was to add something new and innovative to the snus market. This resulted in the snus brand The Lab. Thunder is a very popular snus brand from the Danish company V2 Tobacco. Thunder offers everything from extra strong snus to ultra strong snus in all kinds of variations, with both traditional flavors, a wide range of different mint flavors and also fruity flavors such as melon and raspberry! Thunder has since it was launched only grown in popularity and is today one of our most popular snus series at SnusExpress. Tre Ankare is Swedish Match's first portion snus and was introduced to the world in 1977. The snus has a somewhat smoky character to the pure and strong tobacco flavor, also hints of cedar and herbs. We offer Tre Ankare in white portions. White Fox is GN Tobaccos first entry on the all white stage. These discreet and tobacco free nicotine pouches delivers a long lasting burts of mint and packs a hefty load of nicotine, making to perfect to enjoy when you want something refreshing and extra strong!